Hansaton has recently introduced its newest line of hearing aids; the sound SHD models that utilise their advanced SphereHD technology which provides the user with unparalleled spatial acoustics for natural hearing in all social environments. 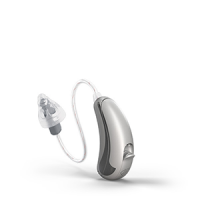 Optimal for those with a moderate to severe hearing loss, this hearing aid line comes in three battery options that each boast individual benefits. The sound SHD S312 is Hansaton’s Award-winning design that provides the user with unparalleled clarity during oral communication. Made with an ergonomic design, this model has an easy-to-find push button and battery compartment, beneficial especially to those who dislike small and fidgety builds. Furthermore, the S312 provides the perfect equilibrium of size and long-lasting battery life, making it the most popular choice for users. The sound SHD 10 is the smallest of the three options and boasts discreetness and a snug fit. This model is perfect for those who wish to keep their hearing loss personal without compromising on quality and performance. Finally, the sound SHD S13 is the largest of the three and has the longest battery life. While being aesthetically pleasing, it also boasts incomparable power as an acoustic external-receiver system – providing the user with optimal sound quality and clarity. This makes this model the most beneficial for those with more severe hearing losses as it prevents the loss of clarity despite a larger need for amplification. In regards to the technology level, the sound SHD 9 is the most premium level and carries 20 channels, as well as 7 memories that can be programmed in 7 varying social environments for later ease of use and assistance. It includes multi-microphone technology that ensures optimal clarity regardless of the environment as well as unparalleled natural sound. SurroundSupervisor SHD utilises over 20 high-resolution sensors in order to analyse the environment for precise signal processing. Sound Impulse Manager SHD provides the user with a pleasant hearing experience without interference of impulse signals. Speech Detection provides focus on speech while supressing background noise. Noise reduction reduces background noise, especially in noisy environments. Wind Noise Manager detects and automatically supresses wind noises. Feedback Manager automatically supresses feedback noise, such as those from telephones. 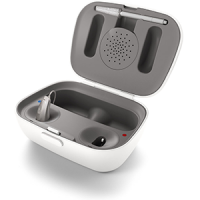 BiLink and BiPhone provide the user with automatic synchronisation of bilateral hearing aids to allow for improved clarity and directional hearing in noisy environments and on the telephone respectively. The Hansaton sound SHD 7 only provides the user with 16 channels as opposed to the sound SHD 9 which provides 20. Furthermore, all the features mentioned above are all present but with a more basic function. This means that the performance level of the sound SHD 9 is unparalleled in its ability to provide the user with clarity and spatial acoustics, regardless of the environment. Finally, it is the most natural sounding of all the performance levels. Includes initial consultation, hearing test, hearing aid fitting and follow up appointment. We understand the biggest hurdle when purchasing hearing aids is the price. Let us make easier for you. Got a cheaper written, Australian quote? We'll beat it by 5%. We only partner with independent audiologists promising a higher level of hearing care. We want you to be happy with your purchase. If not, we'll issue you a full refund. Our network is so extensive, we have a hearing specialist located near you. We can even visit you at home! A hearing consultant will be in touch shortly with the location of our closest provider, a quote and to answer any further questions.